When you think of one’s hometown, most people consider the the town of one’s birth or early life or of one’s present fixed residence. Unfortunately that doesn’t really apply to the small residential place in southern France called Mandelieu-la-Napoule. I wasn’t born there, nor did I spend my early life there — if I had surely my French would be better. I was born in London, United Kingdom and raised in a small seaside town in the county of Kent called Herne Bay. People think this all sounds lovely but in reality, despite being located in southern England, theoretically at least, slightly warmer than other parts of the country, due to a geographical anomaly, Herne Bay faces due north. This had, and still has, an adverse effect on the climate. While, on a good day, the rest of Southern England basks in warm winds from across the Channel, Herne Bay will experience its own microclimate of ‘beast from the east’ weather with wind whipping in from Siberia via the North Sea and heading straight up the flapping leg of my purple flared trousers. 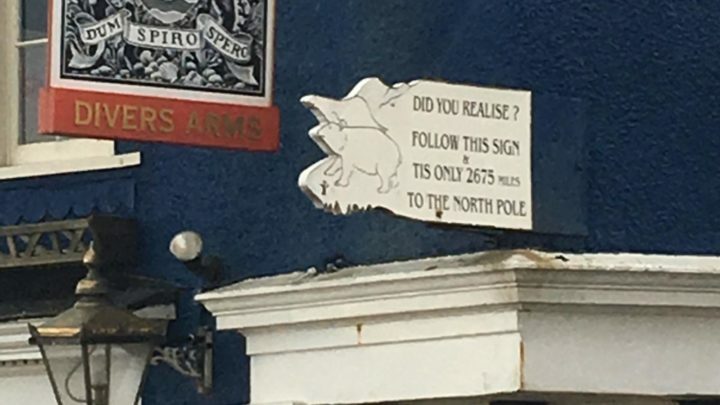 I remember, as a youth, being fascinated by a small sign that clattered around in front of one of the local pubs claiming that it was 2,672 miles (4,300 kilometres) to the North Pole. You can see the sign in the picture below. This picture was obviously taken on a good day. Normally the sign would be battling against the howling east wind to stay affixed to the pub wall and with the angle of the red pub sign above giving you some idea of the prevailing wind. Just another summer’s day in England. Compare this to the stunning beauty of southern France, most of which actually faces south and you can perhaps understand why I preferred living there. I spent much of my working life in this region. The locals refer to Mandelieu-la-Napoule as either Mandelieu or La Napoule, because they may be French but it doesn’t do to be too pretentious. 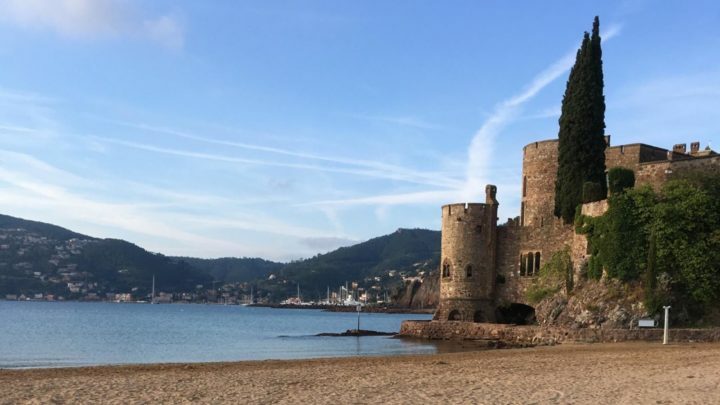 This is because their two main population centres; Mandelieu itself, which sits on the Siagne river and is the commercial area, and La Napoule, which is on the coast and also boasts a beautiful castle, Château de la Napoule. 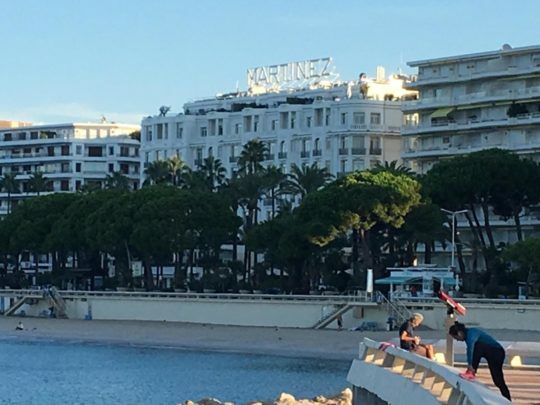 Mandelieu is a stone’s throw from the better known town of Cannes, famed for its film festival and glittering lifestyle. Although I can assure you it’s not so glittery when you ride your bike through it at 6:30am on your way to work. Garbage trucks block the road servicing the many hotels, and misaligned sprinklers flood the streets in an attempt to destroy the ambience of La Croisette. As you can see from the picture below it would be hard to spoil the look of this picture postcard town for long. To return to the theme of this, my present fixed residence is Brisbane, which is a beautiful place but most readers probably already know that. I do love Australia but it’s so far from the rest of the world. Perhaps this is part of its charm. What part of the world do you consider your ‘hometown’? What makes it so special?